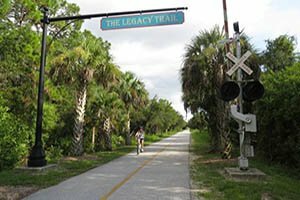 SARASOTA, FLORIDA, February 6, 2019 – Many bedroom communities in Sarasota would directly benefit from the extension of the popular Legacy Trail northwards from the Culverhouse Nature Park in Palmer Ranch to Payne Park just east of the central downtown area. 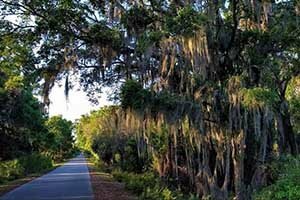 The trail extension project finally got the greenlight in November last year, with a 70 percent majority of Sarasota voters approving in a referendum a $65 million bond issue for its financing. This car-less, extended trial for bikers, joggers, walkers, and rollerbladers, will cover some 7 miles and traverse the periphery of several well-established residential neighborhoods typically off the radar screen of those on the market for Sarasota homes for sale. These neighborhoods soon-to-be adjacent to Legacy Trail include Bahia Vista Heights, Tamaron, Old Forest Lakes, Meadowland Circle, and McIntosh Lake. The first phase of the trail extension project is set for the fiscal year 2019‒2020. It would entail purchase of the railway track stretching southwards from Payne Park and Fruitville Road to Ashton Road, followed by the extension’s design and construction projected to be finished in 3 years. 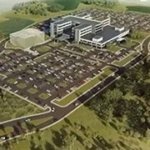 Once this is completed, the second phase will be implemented in fiscal year 2022‒2023 to connect the new trail corridor with the existing Legacy Trail. The $7.5 million purchase price of the 2-mile railroad tracks from Ashton Road to Culverhouse is already funded by a 2017 grant from the Florida Department of Transportation. Completion of this linkage is expected in 2023, which in effect would stretch the Legacy Trail a total distance of 18.1 miles. Work on the trail’s extension northwards also includes the construction of overpasses at Clark Road and Bee Ridge Road. Last year, a trail overpass in Nokomis over Laurel Road was completed; this initiative and its funding came separately from the $65 million Legacy extension project. Aside from the costs of land acquisition and construction of overpasses, bridges and pavement, the $65 million funding will also cover the addition of rest stops and water fountains along the new northern Legacy Trail corridor. 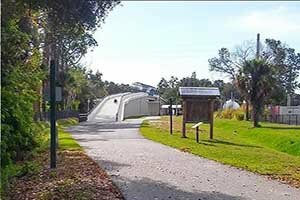 Connectors of the trail to North Port and Venice are also included in the approved funding. The strong advocacy of the nonprofit Friends of the Legacy Trail takes much credit for the realization of the recreational trail’s extension. Aside from rallying local residents behind this project, the organization is likewise hosting events to seek public support to the trail which is certainly one of the local amenities helping spur market interest in Sarasota homes for sale. One of this non-profit’s trail promotion endeavors happens each first quarter of the year, which for 2019 will be held March 24: The Tour de Parks. It will go the rounds of 12 choice local parks in selections of 21-, 35- and 62-mile scenic and fun bike rides. All participants of this event start and finish at the Venice Train Depot. The entry fee of the event covers breakfast and lunch, as well as rest-stop snacks and SAG support. The nonprofit’s volunteers also provide surrey rides on the Legacy Trail to serve its visitors with mobility issues. This service is a free, 45-minute ride along the trail starting from Laurel Park from 10:00 a.m. to noon Tuesdays and Wednesdays.